November 16, 2016 – Technicians from Janicki Industries in Hamilton, Washington, position the layers of the diaphragm for the Orion stage adapter. The adapter will join the Orion spacecraft to the interim cryogenic propulsion stage (ICPS) of the Space Launch System, NASA’s new rocket for the journey to Mars. If the SLS was dissected, the ICPS lies just below the Orion capsule, at the top of the SLS. The ICPS is a liquid oxygen/liquid hydrogen-based system. For the ICPS, The Boeing Co. and United Launch Alliance (ULA) will modify the existing Delta Cryogenic Second Stage, used on ULA’s Delta IV family of launch vehicles. On the first test mission of Orion and SLS together, called Exploration Mission-1, the ICPS will give Orion the big push needed to fly beyond the moon before the spacecraft returns to Earth. For later long-duration missions in deep space, this interim stage will be replaced with a more powerful upper stage on SLS needed to carry crews and their spacecraft farther than ever before, including to an asteroid and ultimately Mars. The adapter diaphragm is used to keep launch vehicle gases away from the spacecraft. The diaphragm is constructed of multiple layers of carbon fiber fabric material engrained with epoxy. The layers are pieced together and carefully positioned in place using laser projectors to outline where they need to go. Janicki finished laying the final piece in late October. 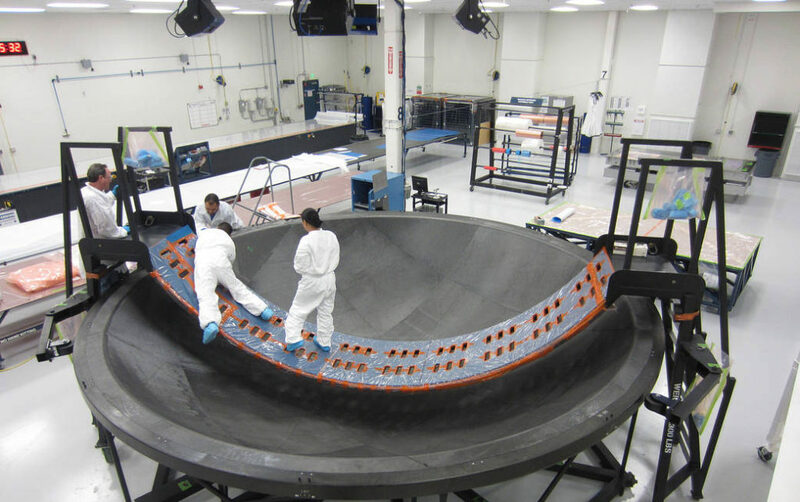 The diaphragm work is being done in collaboration with NASA’s Langley Research Center in Hampton, Virginia, and NASA’s Marshall Space Flight Center in Huntsville, Alabama.